Lil Snupe was a young artist singed to Meek Mill's Dreamchasers imprint. Unfortunately, he was gunned down in an act of utterly senseless gun violence at the age of 18 by a "friend" nearly twice his age. Throughout his all-too-brief career, the Louisiana native released only one mixtape, titled R.N.I.C., having collaborated with Trae Tha Truth, DJ Khaled, Twinn U, Jay Knoxx, Tay, Curren$y, Bigg Poppa and Meek Mill, of course. His legacy will live on in the music he was able to create before his untimely passing. May he rest in peace. Meek Mill signed Lil Snupe to Dream Chasers Records directly after hearing his demo. 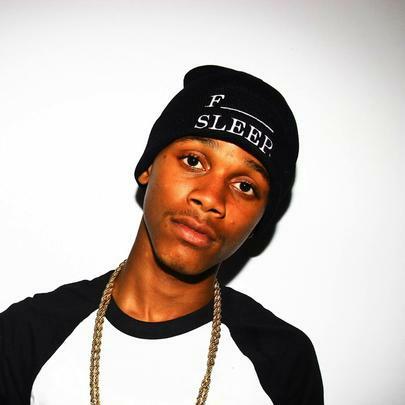 Lil Snupe signed with Meek Mill's Dream Chasers Records at the age of seventeen. Snupe was allegedly gunned down during a dispute over a video game. 36-year-old Tony Holden and 21-year-old Edrick O. Stewart are said to be responsible for Lil Snupe's murder. Although from the South, he was said to have an East Coast flow.